Download our latest FIIT Project app and stay tuned with our latest! 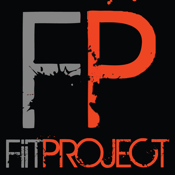 FIIT Project offers a variety of personal training & group training options for all fitness levels. muscle gain, power, strength and specialise in Crossfit programming and programming for mothers returning to exercise post birth. Train one on one or share the cost in smaller groups - anything is an option! FIIT Project will guide you and motivate you towards your goals and beyond.